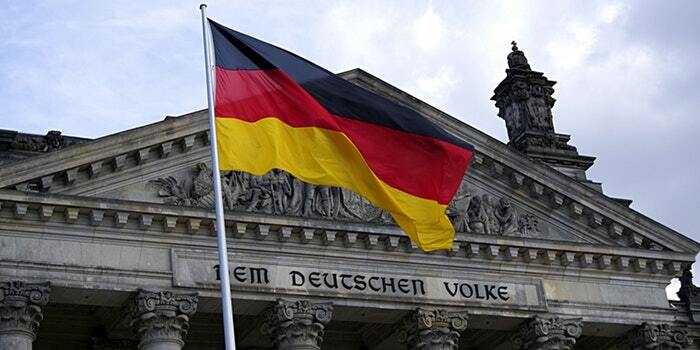 Germany, the top market in Europe is also one of the fastest growing markets over the globe. Top companies in this country are experiencing growth in value and incomes every year. German companies are also well known in the world, not only because of the advertisements and overall popularity but also for the very good quality of products and great service. Let’s take a look at the top and largest German brands that actually on the market. On this list, we will show you the best 10 largest German companies for the moment. The list contains basic information about the company, its revenue and more. The list is sorted from last to the top one, based mostly on the company revenue during the year. Our list begins with the largest courier/mail and logistics company in the world: Deutsche Post DHL Group. Founded in 1995, by 24 years, it worked hard for the name and brand over the world, by delivering letters, packages, parcels and more. Formerly DHL was National German Post, known as Deutsche Bundespost. It was privatized in 1995, and this date is the date of its foundation. Main Quarters of DHL are located in Bonn in Germany. As for 2018, DHL Group got revenue worth 70,545 billions of USD. That’s why it is noted very high in the Fortune 500 list – at the 119th position, and it gives it to number 10 in our ranking. BASF SE is the largest chemicals producing company in the world. It was founded more than 100 years ago in 1865 in Germany. Now with the main quarters in Ludwigshafen am Rhein. Throughout all the time of its existence, BASF not only produced and sold massive amount of chemicals, synthetics, IT market products cosmetic industry products and agricultural industry products but made a lot of researches on new materials, chemicals, biotechnology, IT and more. As for now, BASF got over 300 production facilities all over the world. It’s one of fastest developing companies in the variety of industries. In 2018 revenue of BASF SE was worth $72,677 billions, which gave it he 112th position in the Fortune 500 ranking, and 9th position in our list. Uniper SE is the youngest company in our ranking. It was created in 2016, so in comparison to the others, it is “youngling” amongst the largest German companies. But don’t be fooled – in this case really age is just a number. Uniper is a German brand that works on the field of energy, electricity and fossil fuels. The company operates all over the world and delivers the electricity and power to a lot of people. At this moment Uniper is one of the largest electricity producers with possibilities to capacity 36GW. Main quarters are located in Dusseldorf – on the east of the country. At the Fortune 500 Global list, it takes a very high 88 place, with the 2018 revenue worth $81,428 billion. Next company on our list is well known all over the world Deutsche Telekom, but it is more recognizable by its daughter company T-Mobile. Before 1996 it was a branch of Deutsche Bundespost but was separated and privatized, just like mentioned earlier DHL. Main quarters of Deutsche Telekom are located in Bonn, on the eastern part of Germany. As for now, it is the biggest communications services provider in the EU, and it is the main sponsor of the well known German football club – Bayern Munich. With the revenue of $84,481 billion last year, it was placed on the great 81st position in the Fortune Global 500 ranking and took the 7th place on our list. 6th place on our list belongs to a well-known manufacturer of automotive and industrial technology, as well as for the production of universal goods and construction equipment – BOSCH. With its full name Robert Bosch GmbH, the company was created in 1886 in Stuttgart. From its roots, it was always associated with technology research, inventions, and creations. As for now, the company is one of the most recognizable German tech companies with its name everywhere – from the little electrical parts to the big engines. It is located in Gerlingen, but have about 440 companies in 60 countries, and about 13000 of service partners all over the world. In the Fortune 500 global list, it took a very high 75th position with the revenue of $87,997 billion. With the revenue of $91,585 billion, it was classified on the 66th place on the Fortune 500 global list. Bayerische Motoren Werke has taken the fourth place on our list. This company throughout the years created some kind of cult around itself. There are a lot of fans and supporters of BMW and their cars all around the globe. It all began in 1916 in Munich from the idea of Gustav Otto and Karl Rapp who were the creators of this German-based company. From the very beginning BMW produced airplanes and engines and throughout the years it developed its opportunities. At this moment BMW produces well-known cars and engines from all segments – from a little engine to the city cars to great powerful engines used in industries. It also developed their tech research centers and participated in various motorsports, such as Formula 1 with Robert Kubica behind the steering wheel. Classified on the 51st place on Fortune 500 ranking, with the 2018 revenue of $111,231 billion, it is the first company on our list to break the 100000 billion revenue barrier. At the lowest level of the podium, we have giant insurance company: Allianz SE. Its story began in 1890, 129 years ago in Berlin. The company was created by Carl von Thieme and Wilhelm von Finck, and registered under the name “Allianz Versicherungs – Aktiengesellschaft”. Services that was offered at the time by Allianz covered marine and accidents policies for German citizens. Three years later the company started its international expansion with opening new offices in London. Nowadays the main quarters of the Allianz are located in Munich, in the south of Germany, and the area of service covers the entire world. Approx. number of customers grown to about 80 million a year. In some countries, Allianz also offers banking services. It is also associated with Bayern Munich, like Deutsche Telekom – the name of Bayern’s stadium is Allianz Arena, because of the sponsorship of this company. With the massive revenue of $123,532 billions in 2018 Allianz SE was classified on 38th place in the Fortune 500 global ranking, which also made this company to be the first German company in the first 50 of this ranking. Better known by the German brands it owns: Mercedes-Benz, Smart, and Maybach Daimler are on the 2nd place on our podium. This car and automotive producer founded in 1998 quickly developed on the local and international market, and released a lot of premium class cars, and cars of special usage (buses, trucks and more). At this moment the company is planning to take over the legendary Aston Martin brand. With main quarters located in Stuttgart, and the total 2018 revenue worth $185,235 billions, Daimler is placed at 16th place in the Fortune 500 list. And finally, the top of the podium. 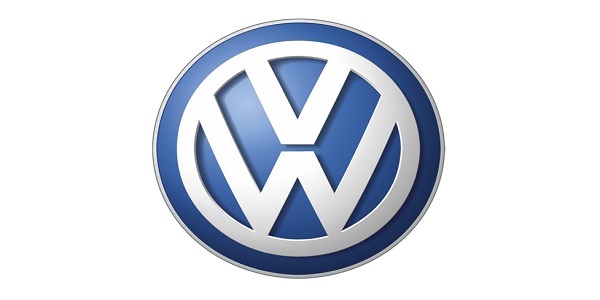 The most known German company in the world: Volkswagen. For its foundation, we took the year 1937, but the first car’s project began to be developed in 1931. With the help of Ferdinand Porsche throughout the years, in 1934 the world saw the iconic Volkswagen Beetle. This was just the beginning of the VW story. After the second world war and rebuilding of the company and the brand, VW began to develop and research on the cars, parts and the automotive industry, as well as started the worldwide expansion process. Today the main quarters of VW are located in Wolfsburg, but the company have its offices and centers in 154 countries and hire more than 500 million people. VW revenue in 2018 was worth $260,028 billions, which is a huge advantage of more than two times revenue worth compared to the Allianz Group. Because of this great score, VW was placed on the great 7th position on the Fortune 500 ranking, and it’s the highest placed German company on this list. In this list, we wanted to portray the top German companies sorted by revenue. As you can see, most of the position of our list are taken by companies working in the tech, IT and automotive industries. It’s because German brand and German tech companies throughout the years became well known by the quality and reliability of their products. If you want to make contact with them or other great German companies you don’t have to search for the contact data by yourself. By using databases from Datantify you are saving your time and making this process a lot easier. Don’t delay, try today. Thank you for visiting our site. We hope that this information are useful for you and your company.